Every year a few players rise from obscurity or late second round projection and end up getting drafted in the first round. I remember back when the Lakers selected Derek Fisher, everyone said "who?" Of course we all know how that pick turned out. Here are a few players who could see their draft stock rise in the post season camps and workouts and make a push into the first round. The undersized power forward is back in style and NBA teams have come to realize the importance of passion, hustle and aggressiveness, not just ideal height. Quincy Acy had a strong finish to his Senior season and proved to be far and away the best player on a talented Baylor team. Still, most mock drafts project him as a late second round pick, or don't even have him in the second round. 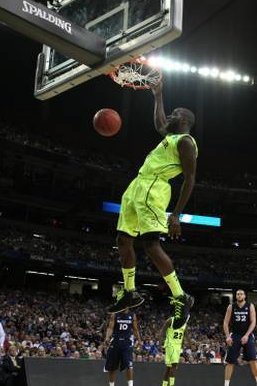 I think NBA GM's have taken notice and Acy will be a coveted player on June 28th. First round might not be likely but I think Sims will be drafted higher than most people expect. He is not much of an athlete but he plays a fundamentally sound game and has the size, strength and basketball I.Q. that gets noticed by GM's. 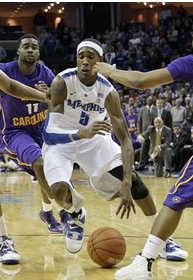 Sims is an excellent passer and solid rebounder who should be able to hold his own at the NBA level. With the success of former Georgetown standout Greg Monroe, Sims could be given the benefit of the doubt and be a surprise pick on draft day. When Barton declared for the draft after his Sophomore season it raised some eyebrows but the long-armed shooting guard showed a lot of promise while at Memphis and has a lot of upside. He is a great rebounder for a guard and is developing a skill set similar to Evan Turner, a former #2 overall pick. Barton doesn't get a lot of hype from other draft sites or "experts" but he could be another player who climbs up draft boards in the post season.